Standard - £7.99 Only 8 left! It’s a nightmare we have regularly. We’ve put on our most far out polyester outfit, teased our afro out to its very limits, and get all the way to the club only to realize we forgot to wear our gold chain necklace. Everyone notices immediately and they start laughing at us. None of the disco bunnies will even look at us. This feeling is not cool city. It’s not cool city to the max! We want to spare you this horrifying shame by making sure you never go to the discotheque unprepared. 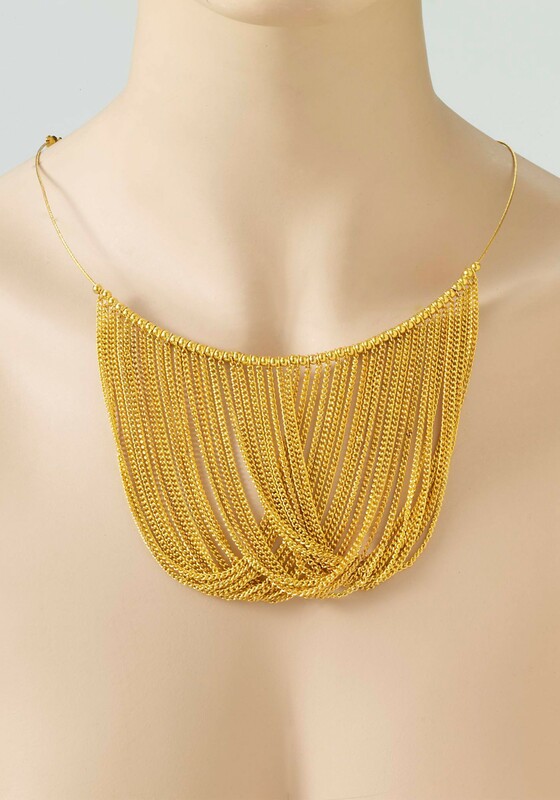 The Gold Chain Disco Necklace has all the bling you need to bust a move in style without excavating your bank account so you can buy real precious metals. 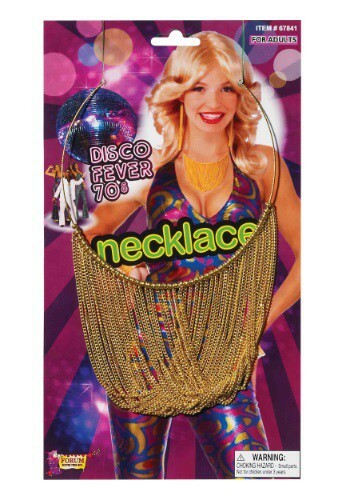 Disclaimer: Wearing the Gold Chain Disco Necklace may cause love hangover, night fever, and the condition known as heart of glass. As your doctor if disco is right for you.